Critical readers recognize that knowing an author’s purpose, perspective and point of view helps them understand and appreciate what they are reading. Often used interchangeably, these three terms actually mean quite different things. Purpose: the “why” of the writing. 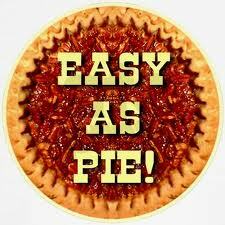 The three main purposes for writing are often summarized as “PIE”: to PERSUADE, to INFORM, or to ENTERTAIN. Point of view: the “who” of the writing. Who is telling the story? In informational texts, it’s generally the author, but in fictional texts, the story is often told from the point of view of one of the characters (i.e. first person writing). Perspective: the “how” of the writing. How is the purpose achieved? What biases and background does the writer bring to the writing? Perspective also includes techniques the writer has used to achieve the purpose. One of the best ways to get students thinking about purpose and point of view in their reading is to get them writing. Have them choose one or more of the prompts below and compare the tone and style of each piece of writing. Here’s a simple exercise: write a description of a piece of chocolate cake from different points of view and for different purposes. As a waiter, describe a piece of chocolate cake, persuading your customers to order it. As a diner, describe a piece of chocolate cake, complaining to the waiter about how bad it was. As a dieter, describe a piece of chocolate cake, bragging that you resisted its temptation (or confessing that you didn’t). As a nutritionist, describe a piece of chocolate cake, warning students about its dangers to good health.